Anyone in the process of buying or selling a manufactured home needs to invest in a manufactured home inspection. Admittedly, home buyers will likely get the most benefit from an inspection, but they can be just as beneficial to a seller. 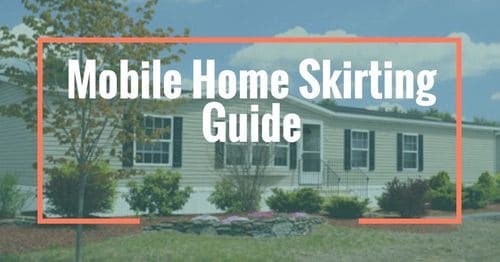 Buying a mobile home is a tedious process, especially if you are doing it privately, meaning there aren’t any dealers or banks involved. 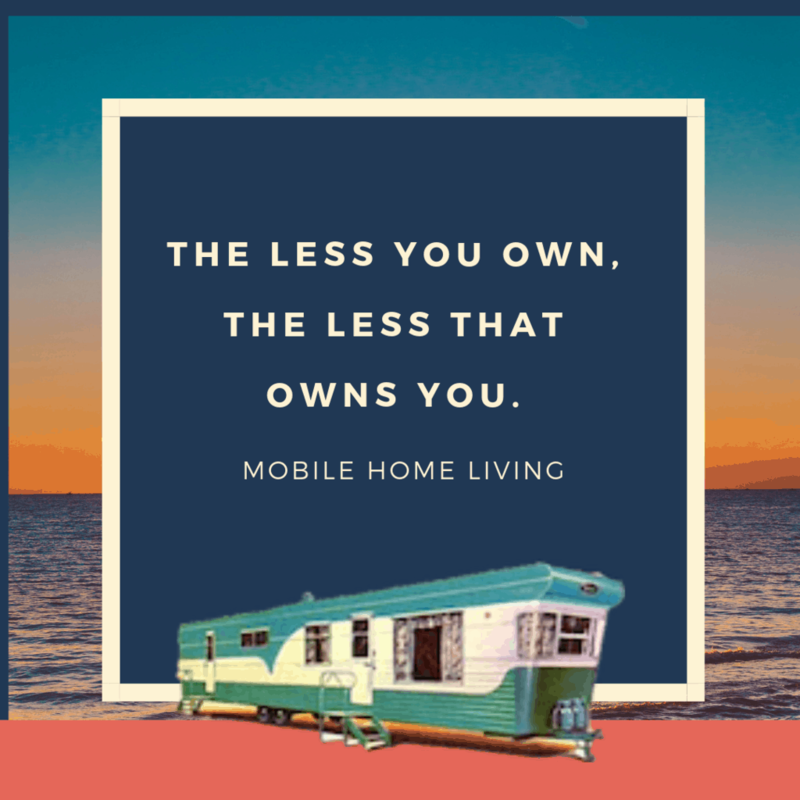 After you’ve ensured the seller has the correct title and there are no holds or liens on it you’ll want to hire an inspection for the mobile home. 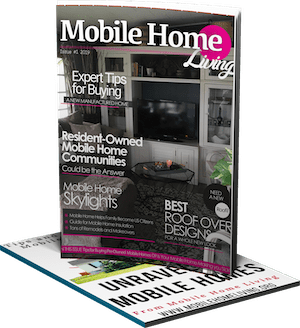 Learn about mobile home titles here. In this article, we are going to cover the basics of a manufactured home inspection. 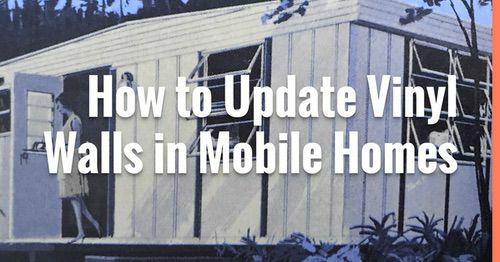 Why you need one, what you can expect to learn from an inspection, how to find a knowledgeable manufactured home inspector, and what you can expect to pay for the service. To put it bluntly, you need to get an inspection on every home you intend to buy to protect yourself and your investment. 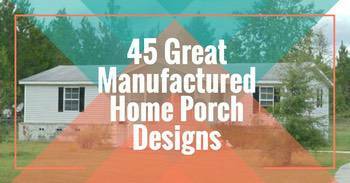 Manufactured homes are constructed differently than a site-built home. These differences can create unique issues that a typical homeowner wouldn’t know. 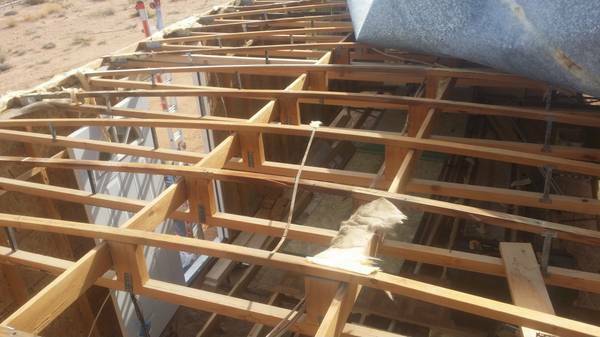 For example, in some manufactured homes, the floors may hang out beyond the width of the home’s I-beams. If steel outriggers aren’t attached to the I-beams to support the weight of the extended floors, then the walls may separate from the roof. This separation is called crowning, and it is not easy to repair. You would not want to buy a home with this issue. Fallen piers are not healthy for a manufactured home. They must be fixed as soon as possible. Home inspections protect all parties. If you are buying a home, an inspection is an investment that can save you hundreds, if not thousands, of dollars. In addition to saving money, hiring an inspector can save you a lot of time and headache in the future. Inspectors have tools such as moisture readers that can give you information not available with the naked eye. These tools, combined with a licensed inspector’s knowledge, are invaluable to a home buyer. If you are selling a home, hiring an inspector to look over the home before you put it on the market can help you find and make repairs. Having these repairs done before a buyer enters the equation can help sell a home faster and possibly at a higher price. 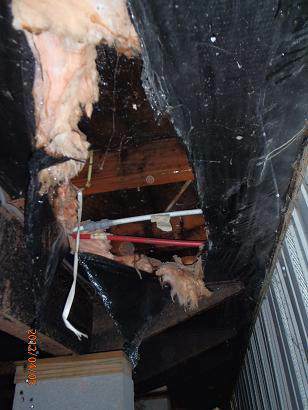 A manufactured home inspection would see that the belly wrap was ripped and the insulation was loose. Belly wraps are vital to a healthy manufactured home. Inspections also protect banks, real estate agents, and even insurance companies. In many situations, an inspection is needed before a bank or lending institution will provide a loan. Some states require all home sells to have an inspection and an appraisal done on the property before the sale is complete. In short, an inspection should be considered an absolute necessity for all parties involved in buying or selling a mobile or manufactured home. Roof rafters on an older mobile home. What Exactly is a Mobile Home Inspection? A manufactured home inspection is a complete inspection of the home, from the roof to the ground. There are specific areas that are thoroughly inspected such as roofs, plumbing, electricity, heating and cooling, and flooring. A competent, licensed inspector for manufactured homes understands the unique issues of factory-built homes. This knowledge allows them to pinpoint current and future issues that may be unsafe, lower the value of the home, or be too expensive to repair. When the inspector is finished you will receive a multi-page report filled with photos and details of any issue they have found during the inspection. This makes for a more informed buying decision. A report from an inspector should be thorough. Expect several pages and dozens of photos. Some inspectors will also offer videos of your roof recorded with drones. Now that you understand how important a manufactured home inspection is, you will need to find a home inspector. 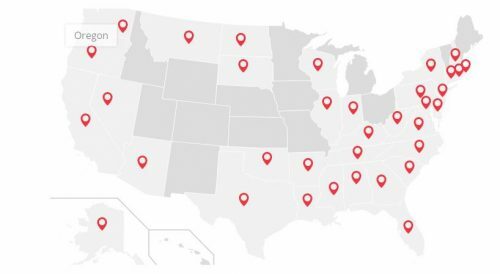 The home inspection industry is regulated in 39 states. The other 11 states don’t regulate home inspectors much at all. This failure to control the industry means anyone can claim they are a home inspector in some states so be careful. For states that do not regulate home inspectors, you will want to stick with inspectors that are members of a professional association such as the American Society of Home Inspectors (ASHI) or the International Association of Certified Home Inspectors (InterNACHI). ASHI is the American Society of Home Inspectors, and they claim to be the nation’s leading non-profit professional association for independent home inspectors. InterNACHI is the world’s largest association of professional home and commercial property inspectors. As part of their membership requirements, InterNACHI inspectors have to complete dozens of inspection-related courses and pass hundreds of quizzes and exams. You want an experienced, licensed, and knowledgeable inspector. While passing an exam is important, actual hands-on experience with manufactured homes is even more important. Also, the inspectors should respect manufactured homes. Also, the inspectors should respect manufactured homes. Like many real estate agents, a lot of inspectors make fun of manufactured homes and the people living in them. This inspector’s forum is a prime example of the problem. Stay away from these inspectors. If they don’t respect the homes or the people, they don’t deserve the business. How Much Does a Manufactured Home Inspection Cost? The average price for a home inspection in the US is around $300. Homeadvisor.com estimates $267 to $371as an average range. Most of the inspection sites I reviewed based their inspection rates on the size of the home. They charge a flat fee for a home up to a certain square footage and then charge extra for larger homes. They may have a service area and fuel surcharge, as well. Mcgarryandmadsen.com is a popular home inspection blog. It is an invaluable resource for all homeowners, especially mobile homeowners. They have a flat fee price of $325 for manufactured home inspections up to 1750 square foot of conditioned space in the Gainesville, FL area. 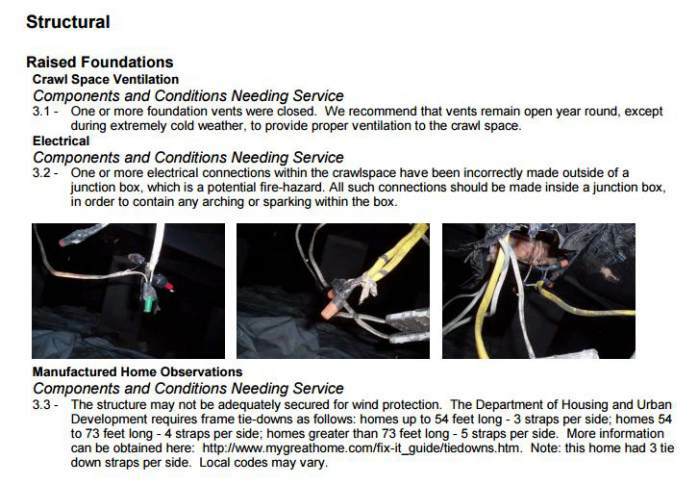 Many inspectors charge additional fees if they have to drive outside their service area, have to crawl under the home or have to inspect an older home as those usually take extra time. Barns and other buildings on the property will usually cost extra, too. 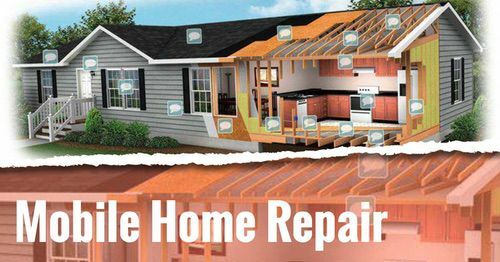 A home inspection can save you thousands of dollars! Manufactured home inspectors look for things such as roof leaks, pier damage, or moisture, and condensation issues that are not easy to spot. The bottom line is a manufactured home inspection is well worth the time and money. 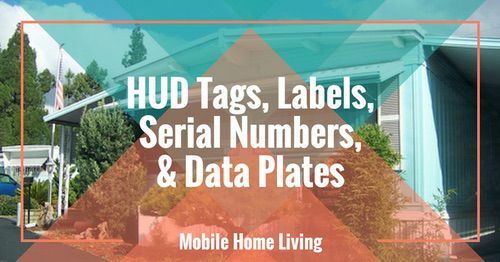 The US Government’s Publishing Office has tons of great resources about manufactured home regulations and HUD code free to download here. 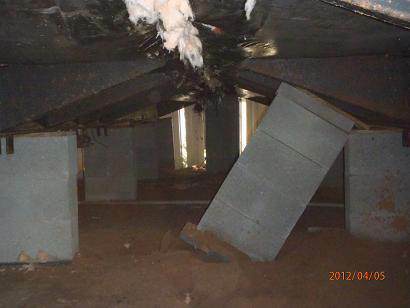 Have you had an inspection done on a mobile or manufactured home? Tell us about it in the comments below! Love this site Crystal. I love sharing your posts on my community page. I manage a community with 319 sites and you post such great stuff that is so informative. Thank you so much for sharing Yvonne! Kim, this was very informative. Would it also be useful for homeowners to have this done periodically for preventive maintenance planning? I spent some time on that link you provided and the attitude and misinformation about MHs is scary. Especially one I read stating that “It’s common knowledge that the lifespan of a mobile home is 25 years”. I guess all those houses manufactured in the 60s and 70s didn’t get the memo. Nor their owners. a must read PRIOR TO PURCHASE. We were blinded by trusting our broker & assistant… We told them we were green in this arena & to clearly walk us thru… What a story we have. We are all sick including our dog which slows down our investigative process, many days not very functional. Will continue reading your site and working on the MANY issues. We have have been told “fraudulent nondisclosure of hazardous conditions” by an authority & was told by broker that buying this “mobile home is the same as purchasing a used car & driving away with no right to appeal grievances – PURCHASE IS AS iS”. (It depends on the definition of IS…ha,ha). An attorney said we may have a case dealing with nondisclosure of hazardous issues. There are many other issues, like foot going through bathtub floor. The home is a 1989. Please feel free to comment on our situation and make any suggestions. Thank for your time. Marge. Each state is different but in most situations when you buy a used manufactured home you are buying it ‘as is’ and that clears the seller of any liabilities or future litigation claims. So, your attorney is right, you are probably out of luck with that one. The hazardous material claim is way over my head but I can tell you that if your foot went through the floor then the home could have a serious water leak issue (window, door, roof, or plumbing) and that is weakening the lumber. It may also be a source for black mold and that isn’t healthy. You will want to have the home inspected thoroughly for water damage. I hope this is an easy and quick fix for you. Best of luck!